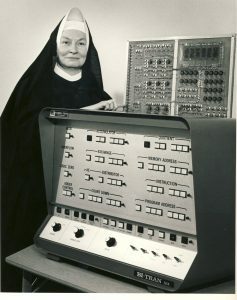 Sister Mary Kenneth Keller, a Sister of Charity of the Blessed Virgin Mary (Dubuque, Iowa, USA) was among the first women to receive a PhD in Computer Science. She received her degree from the University of Wisconsin-Madison in 1964 and was the first person, woman or man, to receive such a degree from that educational institution. She first became interested in the field of computer science in the 1950s and in 1958, she was the first woman permitted to work in Dartmouth University’s Computer Center, where she assisted in the development of BASIC – the first “easy to learn” computer language. After receiving her PhD, she was appointed Chairperson of the newly-created computer science department at Clarke College (now Clarke University), a position she would hold for almost twenty years. 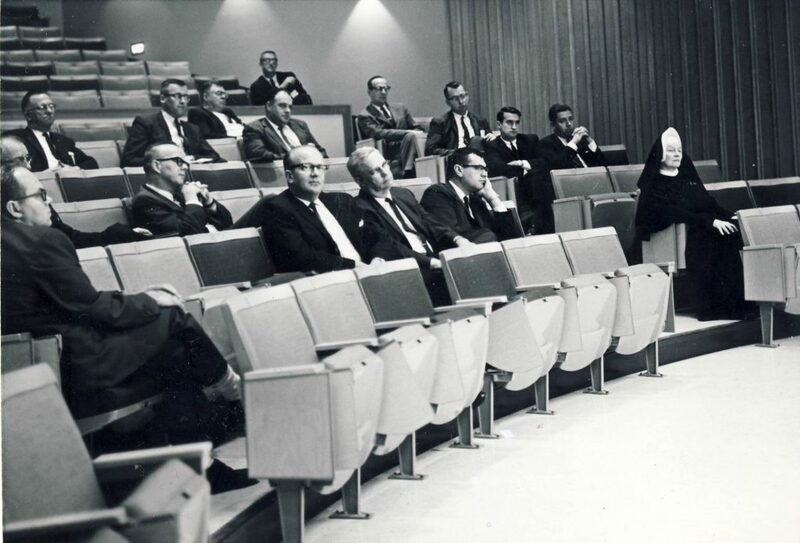 Sister Kenneth was among the first to recognize the future widespread importance of computers, noting in 1964 that students in such fields as education, psychology and the sciences were already finding uses for computers in their academic pursuits. 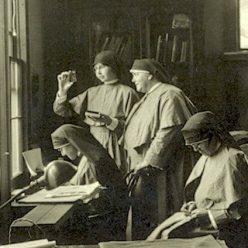 She also anticipated the importance computers would have in libraries, recognizing that “Its function in information retrieval will make it the hub of tomorrow’s libraries.” Sister Mary Kenneth was a strong advocate for the involvement of women in the field of computer science, particularly given the growing demand for computer experts and “information specialists.” There were, and are, jobs to be had and she saw no reason why women would not play a significant role in advancing computer science. She was supportive of working mothers, encouraging them to bring their babies with them to class as necessary. Computer Center and Information Service. One morning when they were young boys, Vincent O’Connell and his brother “sensed that something other than coffee was brewing in the kitchen.” The boys’ father, owner of a Philadelphia hosiery mill, felt betrayed and angry that a worker he’d recently loaned money to was now leading a picket line outside his mill. O’Connell’s mother—a former hosiery worker whose own father had died on the Philadelphia docks during a labor dispute—challenged his paternalistic notion that as owner, he knew what was best for his workers. This early lesson on labor-management relations informed O’Connell’s life and career. Rev. 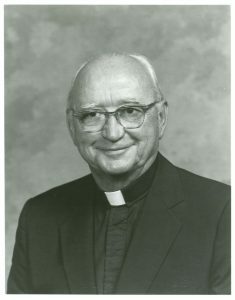 Vincent O’Connell, S.M., (1912-1999) said he was drawn to the Society of Mary because the community “liked to go where nobody else wanted to go and do things that nobody else could or would do—just to help people.” Ordained a Marist priest in Rome in 1939, he witnessed social upheaval and the rise of fascism in Europe. O’Connell was transferred to Minnesota. In 1970 he returned to Louisiana to join the faculty of Immaculata Seminary, but also taught adult education classes through the Southern Mutual Help Association (SMHA). The early 1970s saw the most contentious period of Father O’Connell’s service. In 1973, the bishop ordered him out of the Diocese of Baton Rouge. Many believed he was again being punished for his social activism, but the bishop claimed it was a matter of jurisdiction. O’Connell had been assigned to the Archdiocese of New Orleans, but he also worked and lived—without prior approval—in the Baton Rouge Diocese. Viatorians have a rich legacy of reaching out to those accounted of little importance in society. Below is just one example from an earlier time in the province. 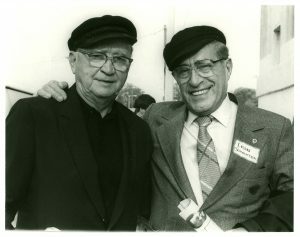 In the late 30s and early 40s, Viatorian brothers staffed Catholic Youth Organization (CYO) homes in Chicago at the invitation of Archbishop Bernard J. Sheil, co-founder of the CYO, who saw a need to reach out to homeless and troubled youth. 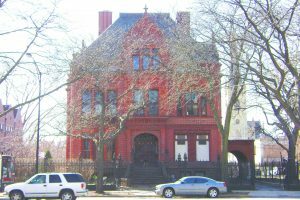 Usually, two or three brothers were assigned to the homes which were located along South Michigan Avenue. At first, they were established for homeless and transient youth who were unemployed. The residents were provided with food, clothing, medical/dental care, discipline as well as spiritual direction. Some were given part-time jobs. Fr. Francis White, CSV, also served at the homes when he was a young brother. He spent two summers supervising the residents, parolees from Joliet State Penitentiary, as they worked at thehome. He found them respectful and easy to engage in conversation. Many of the men who lived at the CYO homes benefitted from the kindness of our earlier confreres. 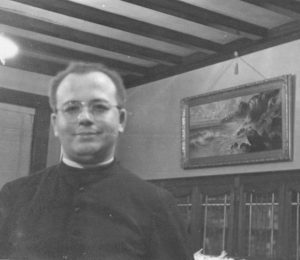 1987 Br Felix Bettendorf -Provincial and Br Frank Souza – Director in front of Bonaventure House. 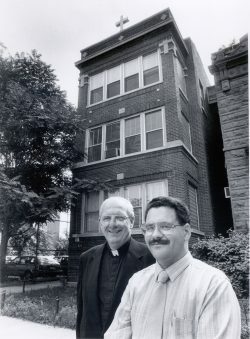 The Alexian Brothers, working closely with the Archdiocese of Chicago, responded to the problem of support for men and women with AIDS or ARC with a residential facility called “Bonaventure House” after the founder of the American province, Brother Bonaventure Thelen, C.F.A. The facility was not a hospital or hospice; rather, it provided room and board, pastoral and psychosocial counseling, and support groups. The facility was dedicated on April 6, 1989 by Joseph Cardinal Bernardin and officially opened. 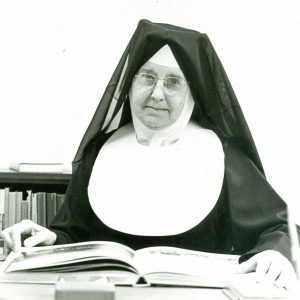 Sister St. Francis Sullivan devoted her career as a Sister of St. Joseph to the education of young women. By 1931, she had earned a doctorate in French. After teaching high she began her forty-year career in the French Department at Regis College as faculty and chair, in addition to fulfilling other collegiate duties, as well as directing the Extension School for the education of young Sisters. During her academic career, she did research and published articles and book reviews, as well as editing, and was active in a number of professional organizations. In addition to her collegiate duties, she became a member of a group of nine Sisters of St. Joseph engaged in translating from French the Maxims of the Congregation, which had been written in the seventeenth century. In 1952, the French government bestowed on her its highest academic award, Les Palmes Académiques, with the added distinction of Officier de l’Académie. Due to a glitch in communication, Sister St. Francis was studying in France when the French consul-general in Boston conferred the award at an Academic Convocation at Regis College. Medardo Brualla, CFM. Courtesy of Claretian Archives USA-Canada. Father Medardo Brualla, a Claretian Priest serving the Mexican Community at Our Lady Queen of Angels Church in Los Angeles, California became the point person working with public heath personnel during the 1924 bubonic plague in this Mexican enclave. A quarantined area was established to prevent outsiders who wanted to profit from the community’s abandoned property. Father Medardo protected the Mexican community from disaster and lost his life in the process. Only fifty Mexicans died due his heroic efforts. Professor Jeffrey Copeland’s forthcoming book documents this final bubonic plague in the United States.